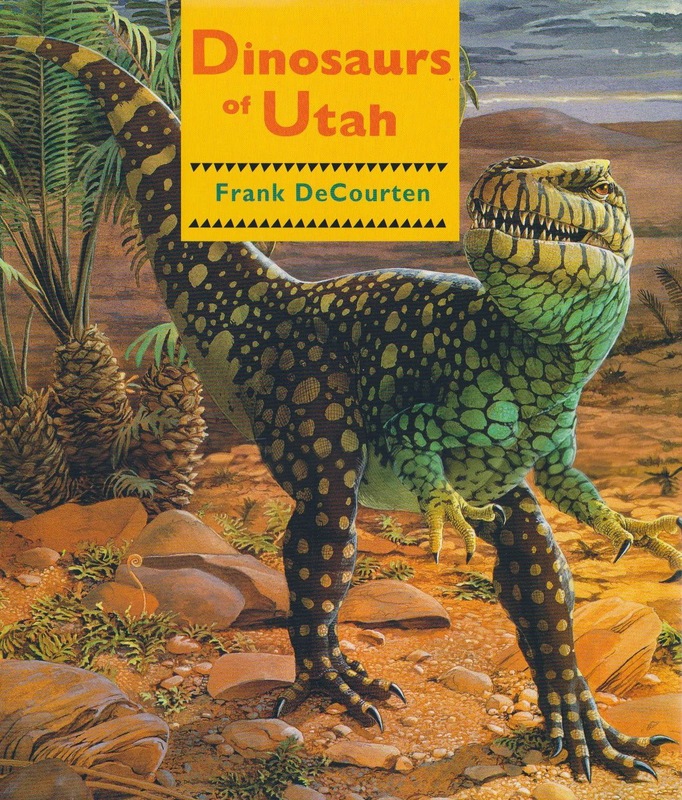 What Utah dinosaur would you have been? Take this personality quiz to find out! 2) What is your favorite sport to play or watch? 3) In what environment do you feel most comfortable? 4) When you relax what do you like to do? 5) Which words describe you best? Directions: Count up the number of times you answered A, B, C, D, or E. The letter you selected the majority of the time will determine your dinosaur! 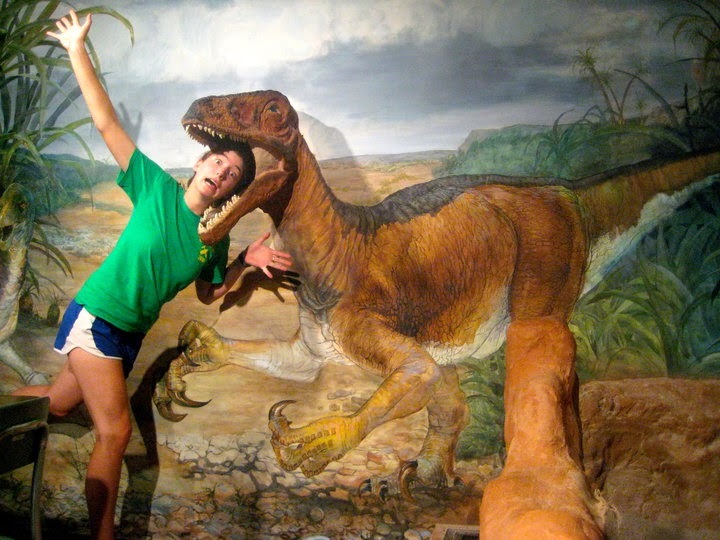 Scroll down past the absurd dino pictures of Amy to see the results. Apatosaurus! Apatosaurs were solitary dinosaurs moving around alone or in small groups. These gentle giants could be 75 feet long and weight upwards of thirty tons! 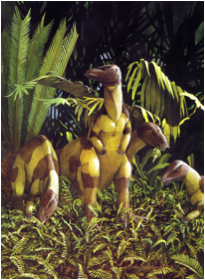 They were able to reach considerable amount of plant food without having to move their massive bodies because of their distinctive long necks. 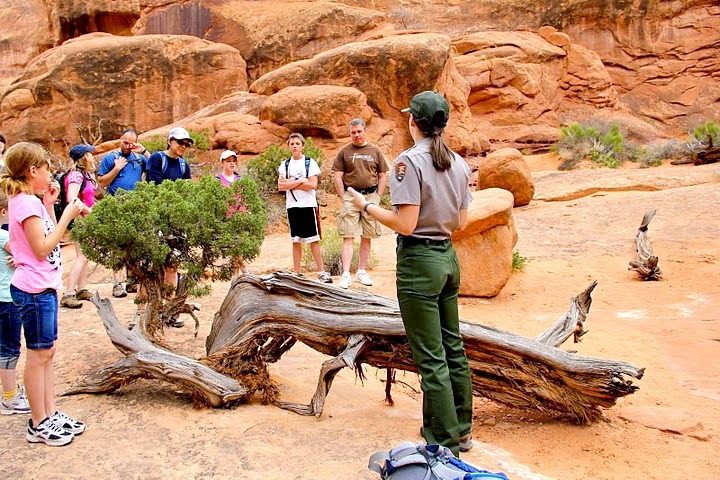 Their long whip-tails served for balance and defense against predators and their fossils are some of the most abundant found throughout the Morrison Formation in southern Utah. Allosaurus! Allosaurus was one of the most common and top predators of the Jurassic. 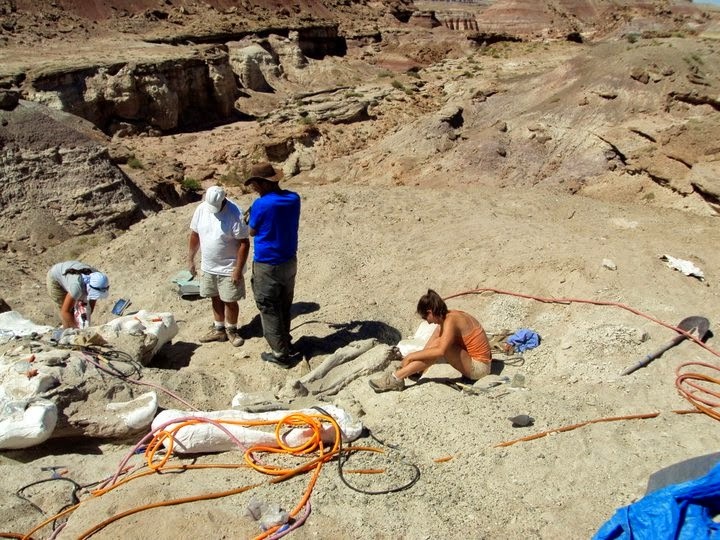 Their fossils are so abundant in Utah that they have been designated as the Utah state fossil. These bipedal theropods (meat-eating dinosaurs) could grow as large as 43 feet long, standing some 8-9 feet tall at the hips, and weighing around 2 tons. They had flexible joints in their skulls, which allowed for swallowing large chunks of meat or perhaps entire animals, similar to the way modern snakes can ingest prey larger than their heads. Ceratosaurus! Ceratosaurus, the horned lizard, had prominent horns on the nose and over the eyes, giving these fossils a distinctive look. 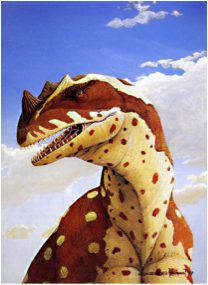 Ceratosaurus was a bipedal theropod, which would have been about 20 feet long and weighted approximately one ton. Some scientists believe Ceratosaurus commonly preyed on aquatic creatures such as fish and crocodiles, since many Ceratosaurus remains have been found with these organisms. 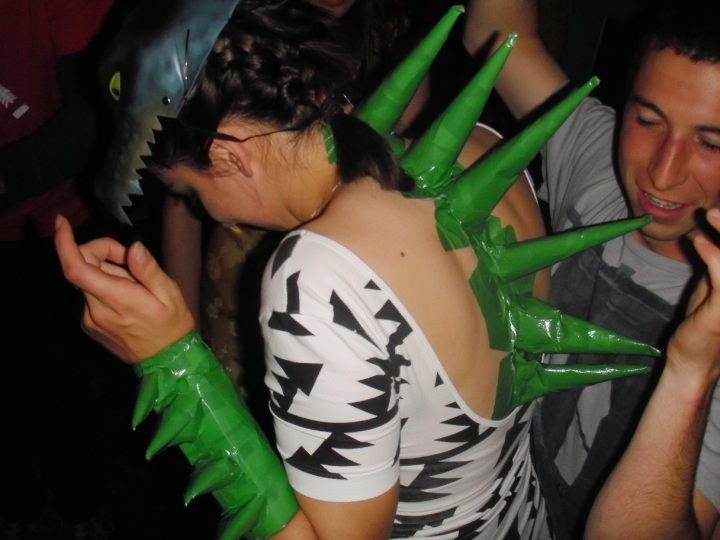 They also had bony plates under its skin, called osteoderms, which functioned as an under-dermal armor to protect this dinosaur. Camptosaurus! 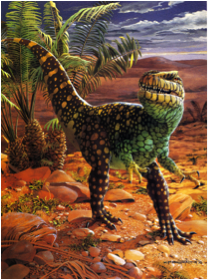 Camptosaurus was very closely related to Iguanodons and were similar in build with their large, heavily built, mostly bipedal form and herbivorous habits. 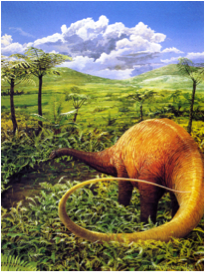 Camptosaurus was 15-18 feet in length and weighted between 1,500 to 2,200 pounds, though some larger individuals have been found. Though quite large in size, Camptosaurus had powerful hind limbs that would have provided lots of power and they probably could run 15 mph. Camptosaurus had a beak-like tip at the front of its mouth and cheek pockets that suggest they thoroughly chewed their food with their back teeth. Utahraptor! 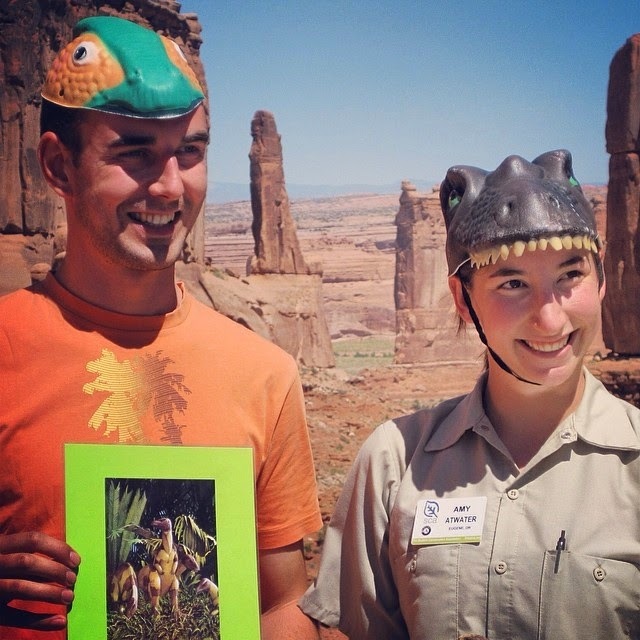 Utahraptor was discovered in the summer of 1991 in Arches National Park’s backyard. Utahraptor was a part of the raptor family, which are made up of fierce bipedal predators with long and powerful legs, a stiff counterbalancing tail, a large skull filled with razor sharp teeth, and greatly enlarged sickle-shaped claws on the second toes of the hind feet. The claw of Utahraptor could grow to the length of 9 inches, which would have been covered with a horned sheath that would have formed a sharp talon about 14 inches long in total. 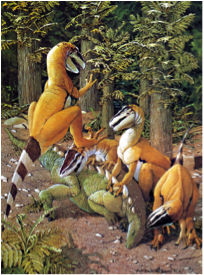 Utahraptor was the largest in the raptor family and was probably 20 feet long and weighted about 1,000 pounds.